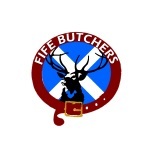 Our quality butchers is stocked with a wide range of products to suit all meat lovers' taste and budget. As well as a variety of freshly cut cold meat from our delicatessen, our hot food counter offers a choice of homemade hot dishes or filled rolls and sandwiches, freshly prepared for you. We also stock Gluten Free Products certified by our supplier at levels down to 10ppm. And don’t forget our delicious home-made pies!